Eurohoops’ own George Efkarpides asked Nemanja Bjelica about the Sacramento Kings, Bogdan Bogdanovic and Zeljko Obradovic. 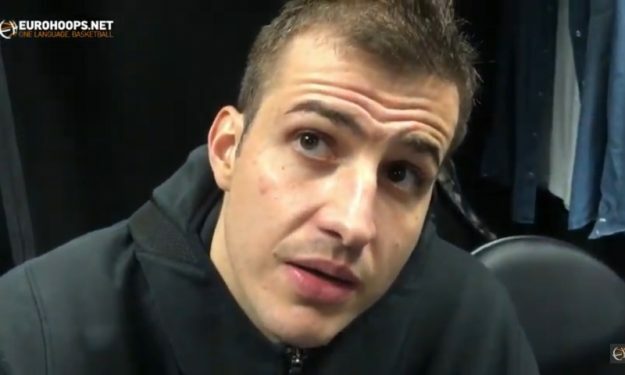 Nemanja Bjelica explained to George Efkarpides and Eurohoops how he’s adjusted to the NBA. He also talked about his 2018-19 season with the Sacramento Kings, his second NBA team after his three-year stint with the Minnesota Timberwolves. The discussion got to his teammate, Bogdan Bogdanovic: “It’s only his second year here, but he’s playing like he’s many years in the NBA. This team is perfect for him. He does play similar like he played in Fener. He’s one of the promising young players in the league”. He then answered a question about facing 26-year-old Bogdanovic, Nikola Jokic and Milos Teodosic in a three-point contest: “Probably Bogdan would have the biggest chance to win”. On his former Fenerbahce Beko coach, Zeljko Obradovic: “I learned so many good things from him even besides basketball. You need know how to respect your teammates. He’s one of the best coaches. It’s much easier with him”.